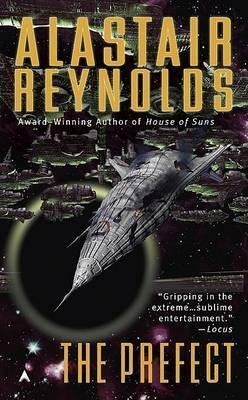 Critically-acclaimed author Alastair Reynolds creates "a fascinating hybrid of space opera, police procedural and character study"(Publishers Weekly) in this novel in his Revelation Space universe. Tom Dreyfus is a Prefect, a law enforcement officer with the Panoply. His beat is the Glitter Band, that vast swirl of space habitats orbiting the planet Yellowstone, the teeming hub of a human interstellar empire spanning many worlds. His current case: investigating a murderous attack against one of the habitats that leaves nine hundred people dead. But his investigation uncovers something far more serious than mass slaughter--a covert plot by an enigmatic entity who seeks nothing less than total control of the Glitter Band.